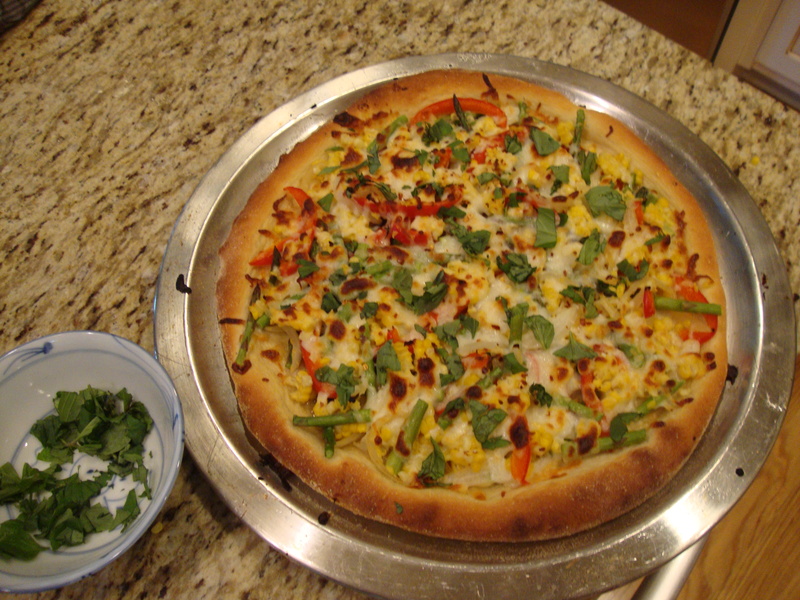 Truth be told, I could always go for a slice of vegetarian pizza, and tonight, I think I’ve made the most delicious veggie pizza I’ve ever had. 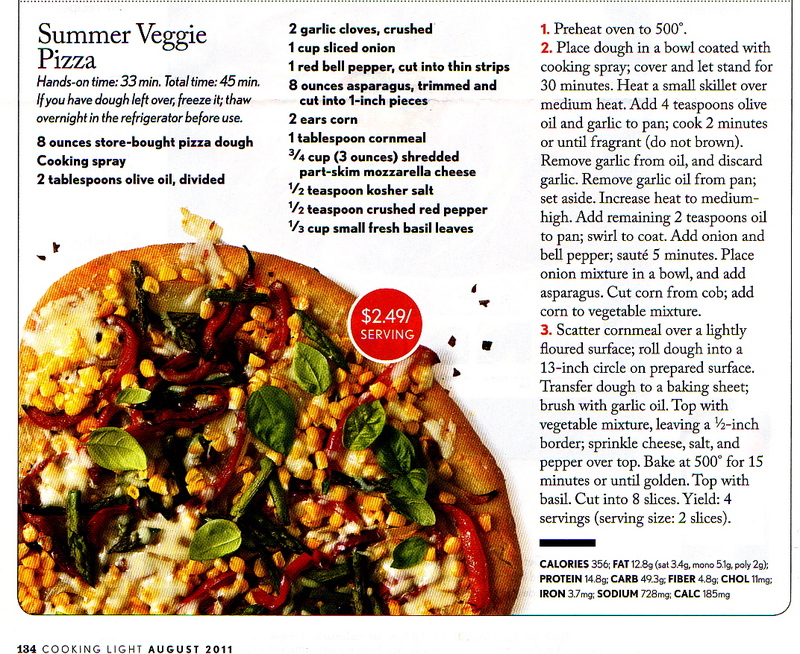 I found the recipe in this month’s issue of Cooking Light. 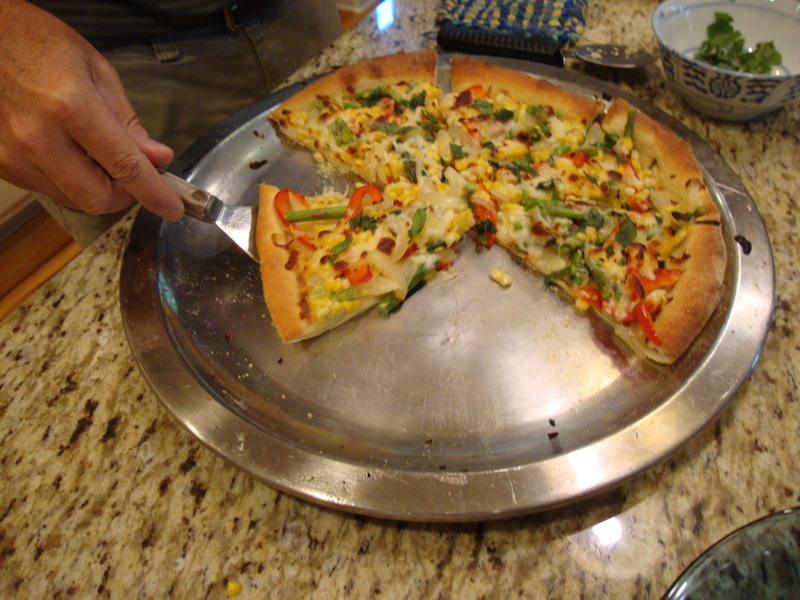 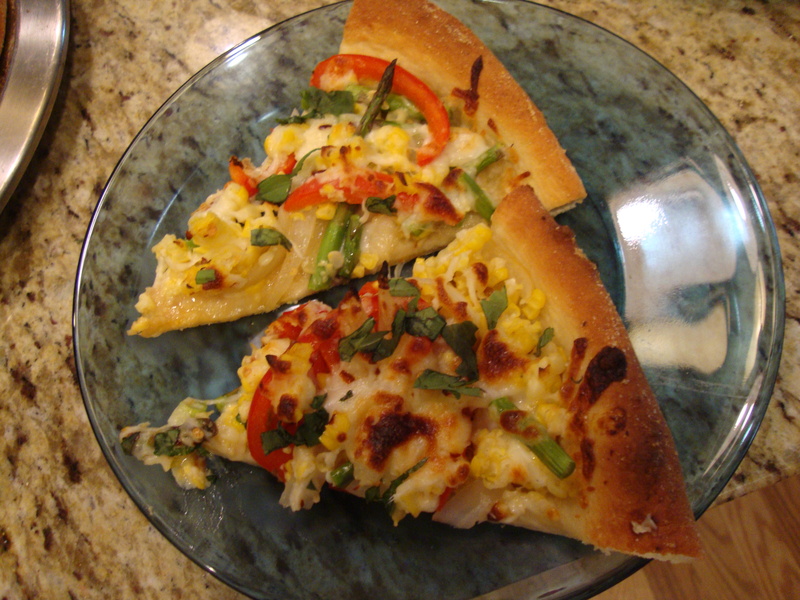 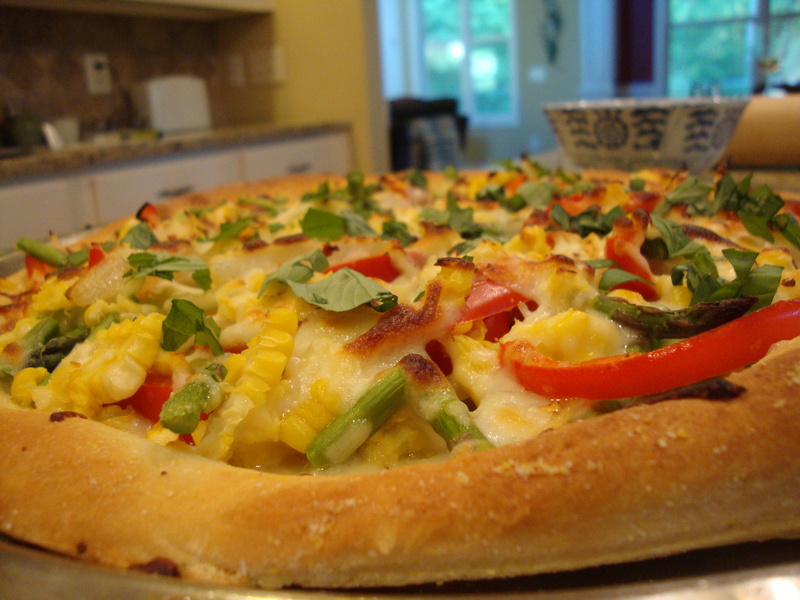 With some fresh corn, asparagus, red pepper and cheese, I can tell you that this pizza tastes just as good as it looks. 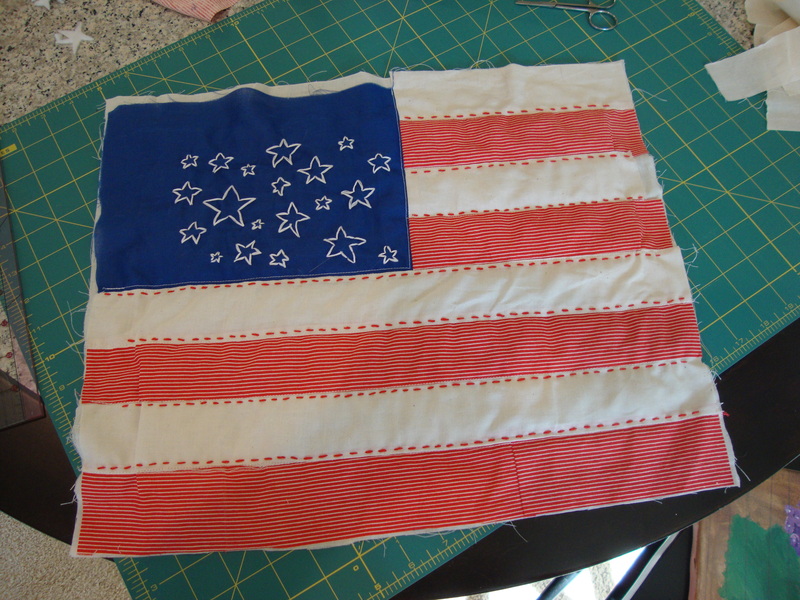 Weeks after making a quilt, I can’t help but want to make another one. 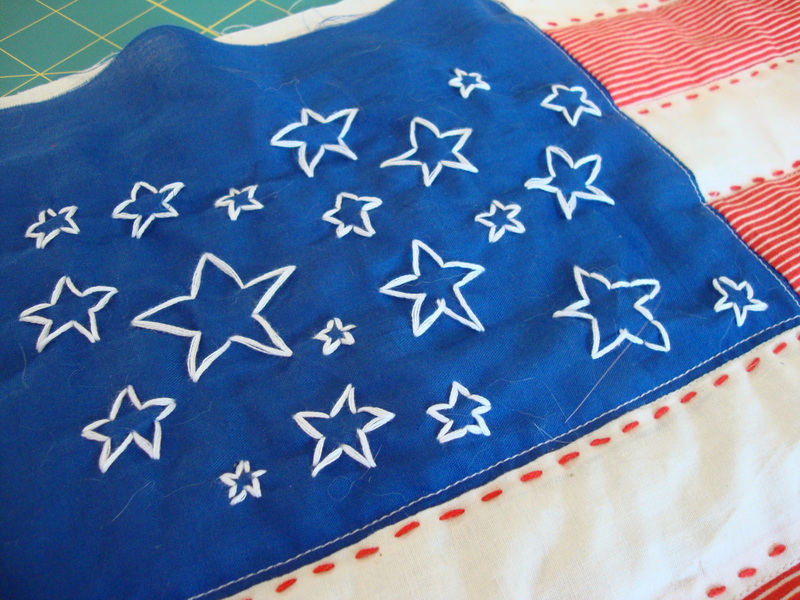 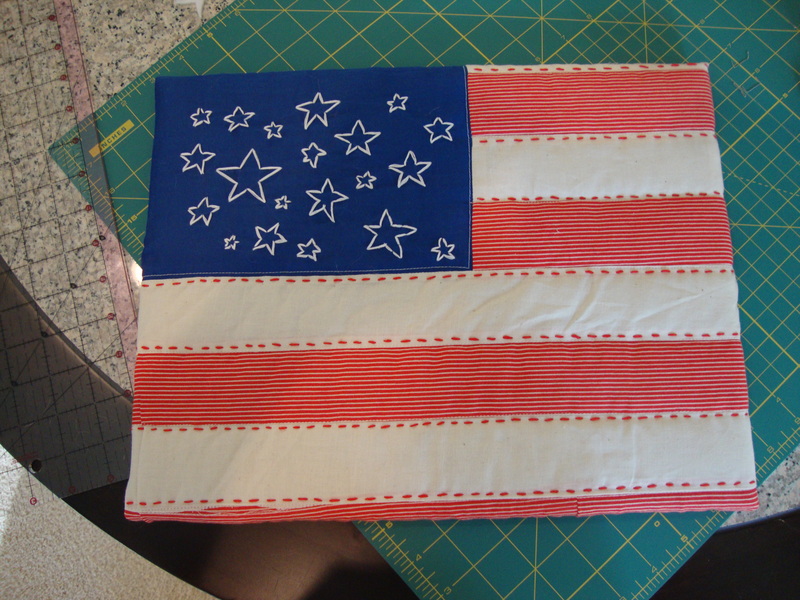 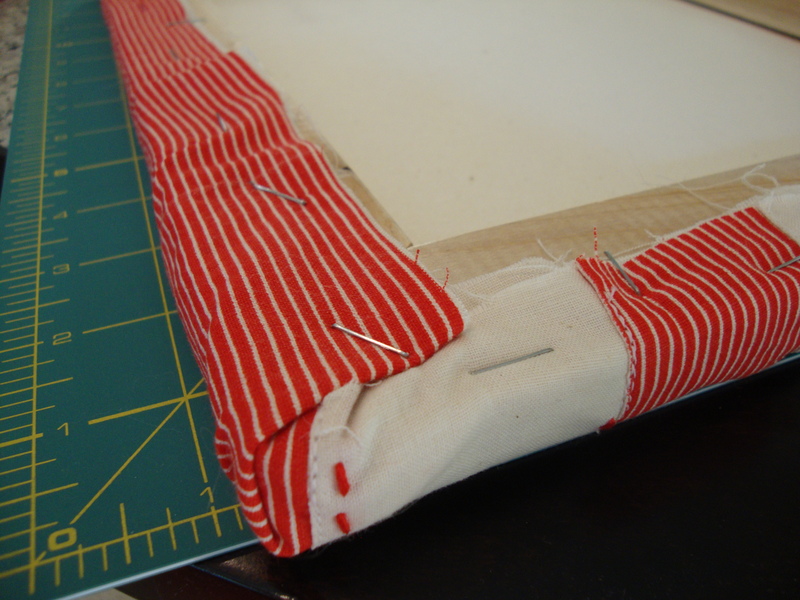 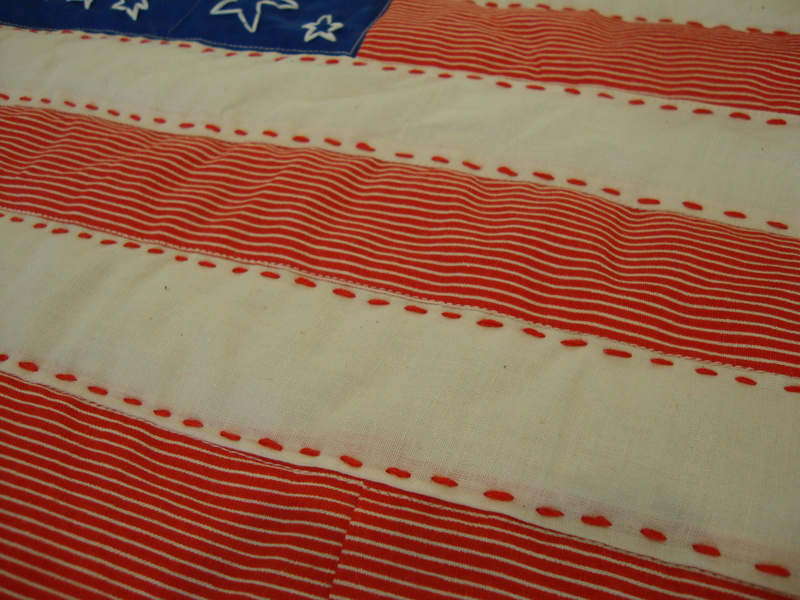 And with leftover fabric from my patriotic napkins, I decided to make a small, yet very festive, decorative quilt. 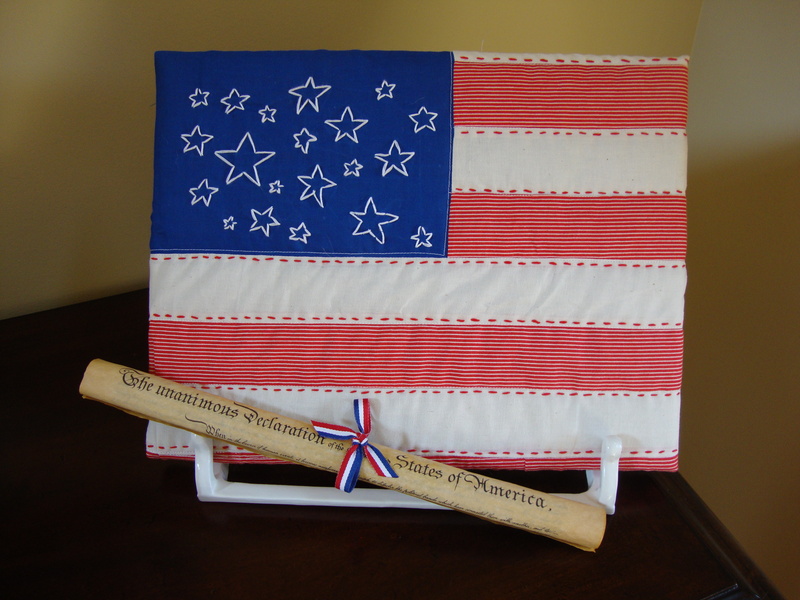 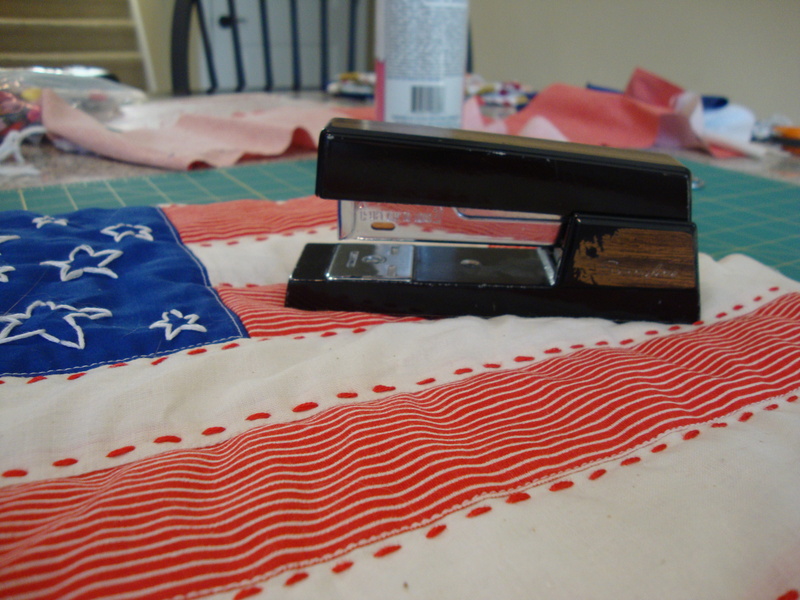 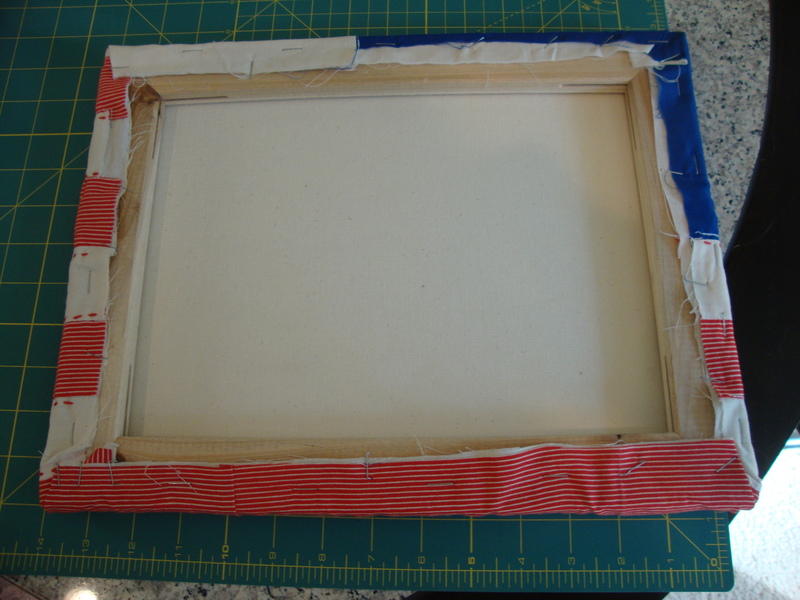 Once I finished the flag, I dug up an abandoned canvas, grabbed a stapler and mounted it!